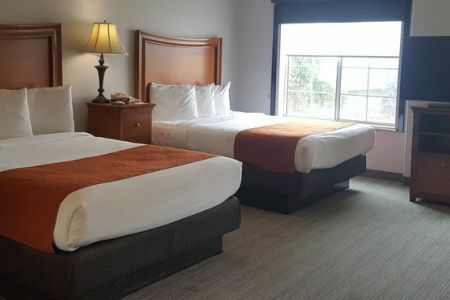 Conveniently located off I-10, the Country Inn & Suites® by Radisson, San Bernardino (Redlands), CA is the perfect place to kick-start your vacation in sunny San Bernardino. 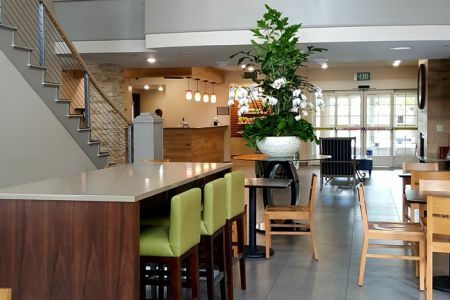 Fuel up with our free, hot breakfast, and then hit the hiking trails at Big Bear Lake, watch the races at Auto Club Speedway or pick apples at Riley’s Farm, all less than 30 miles away. Visiting your favorite student at the University of Redlands? The scenic campus is situated just three miles from the hotel. 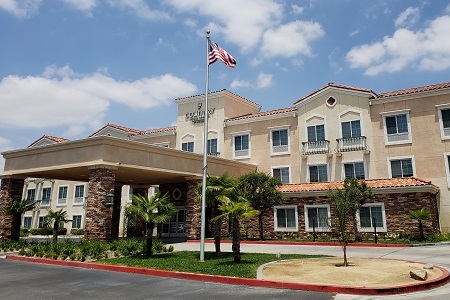 If you’re traveling on business, enjoy easy access to San Bernardino’s corporate offices, only nine miles away. 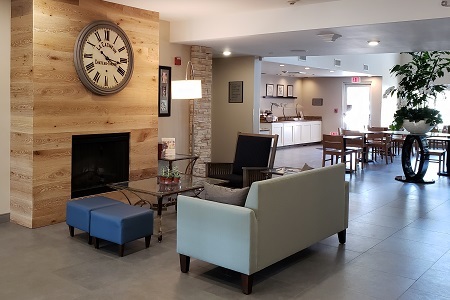 If you’re traveling with family, book our Extended Stay Suite for spacious accommodations featuring all standard amenities plus extras like a separate living room with a sleeper sofa, a dishwasher and a stove. Fuel up before exploring the Redlands area with a free, hot breakfast. You can enjoy morning favorites like waffles, cereal, omelets, fresh fruit and more. When you’ve worked up an appetite later in the day, check out one of the nearby restaurants, such as El Tepeyac, which features authentic Mexican dishes like enchiladas and fish tacos. Edwards Mansion – A tour of this 14-room Victorian home will transport you back in time. Only a mile away, the mansion is well known for its patios and tea garden. San Manuel Casino – Feeling lucky? Head north less than nine miles on Highway 210 to play the slot machines or yell “Bingo!” at this casino. You can also try your hand at poker or blackjack. Big Bear Lake – Pack a picnic lunch and plan an afternoon trip to this scenic freshwater lake about 37 miles from the hotel. Take in mountain views as you hike, ski or fish. Planning an upcoming business meeting, seminar or get-together in San Bernardino? The Country Inn & Suites offers flexible on-site meeting space for up to 100 guests, perfect for your next affair. Contact the hotel for information on discounted group rates and to create a personalized web page for your event.